The Beacon Hill Black Alliance for Human Rights plans to attend the Decatur High School curriculum night on Thursday, Sept. 13, and circulate a petition in support of the group’s demands for City Schools of Decatur. The group spoke at the Sept. 11 Decatur School Board meeting and demanded immediate action to address their concerns. 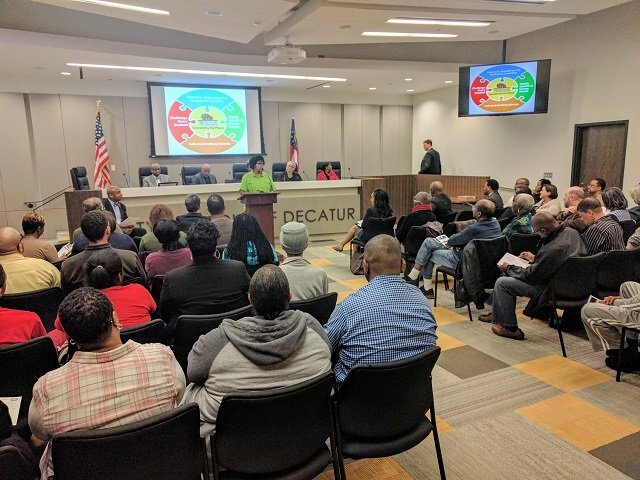 Since the issue was raised two years ago, City Schools of Decatur has hired an equity director and commissioned a study conducted by Indiana firm Thomas P. Miller and Associates. The results of the study were released during the summer, confirming earlier reports that there were significant gaps in student achievement and student discipline at CSD. 1. We demand an immediate end to out of School Suspensions for grades Kindergarten through the 5th grade effective October 1st. 2. We demand an immediate commitment to and engagement with the Georgia Department of Education (GDOE) and Positive Behavioral Interventions and Supports as governed by the GDOE. 3. We demand an immediate release of all discipline and gifted services data disaggregated by race. 4. We demand the establishment of a clear grievance process with procedures for students and parents to address teacher and administrator discrimination. 5. We demand the development of a District Wide Equity Plan. 6. We demand mandatory implicit bias training for all teachers and staff. 7. We demand that all teacher, administrator, and staff evaluations specifically rate their cultural competence and efforts to engage in culturally responsive teaching and/or practices. 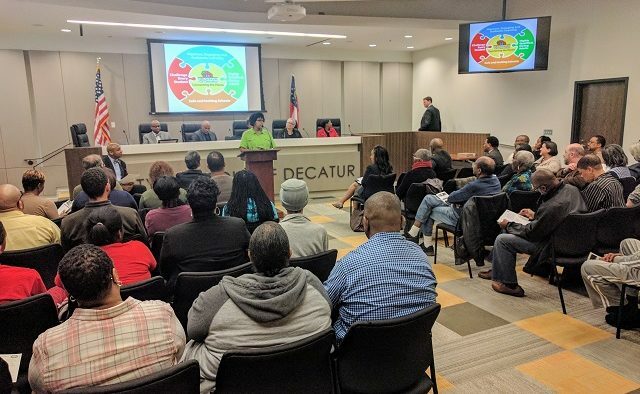 On Thursday beginning at 6 p.m. members of the Beacon Black Alliance for Human Rights will be outside of the Decatur High School Curriculum Night with petitions seeking support for the seven demands delivered at Tuesday night’s Board of Education meeting. Then on Saturday, September 15th at 10 a.m. at Ebster Recreational Center at 105 Electric Avenue, Decatur 30030, Beacon Hill is hosting a seminar for parents, students, and teachers entitled “Back to School with the Right Attitude.” The seminar is designed to help “awaken the genius” in our children and to help with strategies to positively interact with teachers and school administrators. The seminar will be conducted by Let Us Make Man, a group focused on helping African American youth develop. “We want to empower the parents and students in City Schools of Decatur, DeKalb County, and surrounding areas. The Brothers of Let Us Make Man have welcomed students from CSD to our last two conferences so to come to the City of Decatur is exciting for us”- Derrick Boazman, Let Us Make Man Convener and Co-Founder.